Banking on our enriched industry experience, we are able to supply Geofoam. 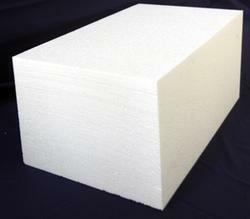 Geofoam is a product created by a polymeric expansion process resulting in “foam consisting of many closed, but gas-filled, cells.The skeletal nature of the cell walls is the unexpanded polymeric material.The resulting product is generally in the form of large, but extremely light, blocks which are stacked side-by-side providing lightweight fill in numerous applications. We are a top-notch organization, engaged in providing Geofoam. We are amongst the most reputed names in the industry, offering Geofoam Thermocol. 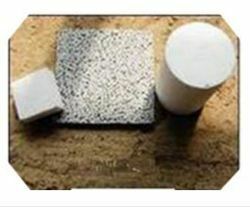 We are engaged in offering Geofoam Thermocol. We are a top-notch organization, engaged in providing Geofoam Thermocol.